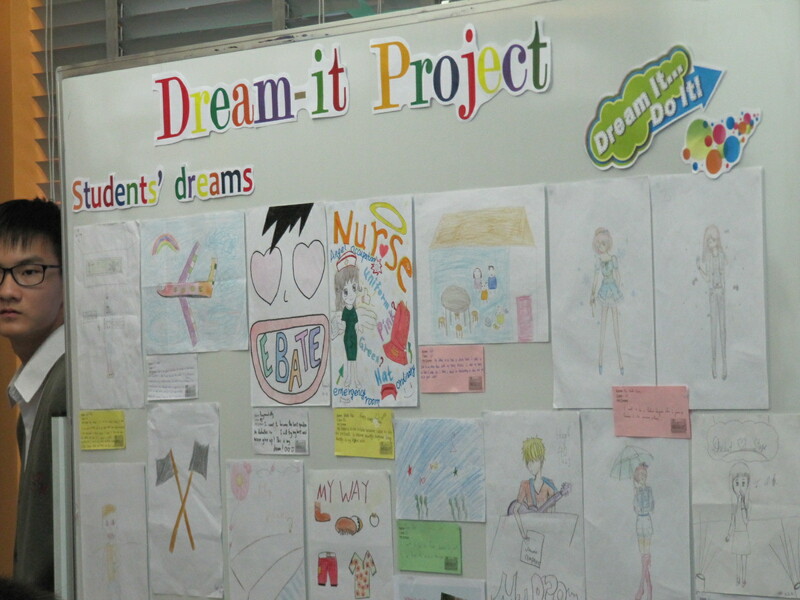 On 23 May, our Program Mentors Shirley and Grace turned the ELC (English Learning Centre) into a “dream garden”, in which 12 students (from S3 and S4) shared about their dreams in the Dream-it Sharing Time. It was a rainy Friday lunch time, yet the joy and smile on the students’ face truly brightened up the entire room. 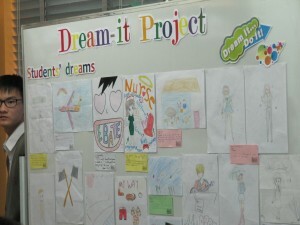 Students were invited to use their own ways to present their dreams. 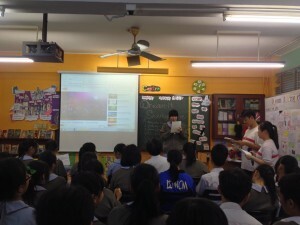 Some of them sang songs, while. 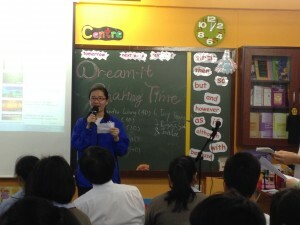 others wrote poems and gave short speeches to talk about their aspirations, such as becoming an ICAC officer, a scientist, a singer, and so forth. Our enthusiastic young “dreamers” did not only get the support and blessings from the principal, their teachers and fellow schoolmates, but the experience to share in front of over 70 people was indeed a great breakthrough for them. No matter how long and bumpy the road to their dreams might be, the courage they gained from the experience would surely pave the way for a more fertile land for their dreams.